Entering the sixth mile of the Litchfield Hills Road Race, runners encounter what is known as the “Microwave Mile.” Here the shade of White Memorial forests is left behind, and in the open the sun of a hot June afternoon is brought fully to bear. 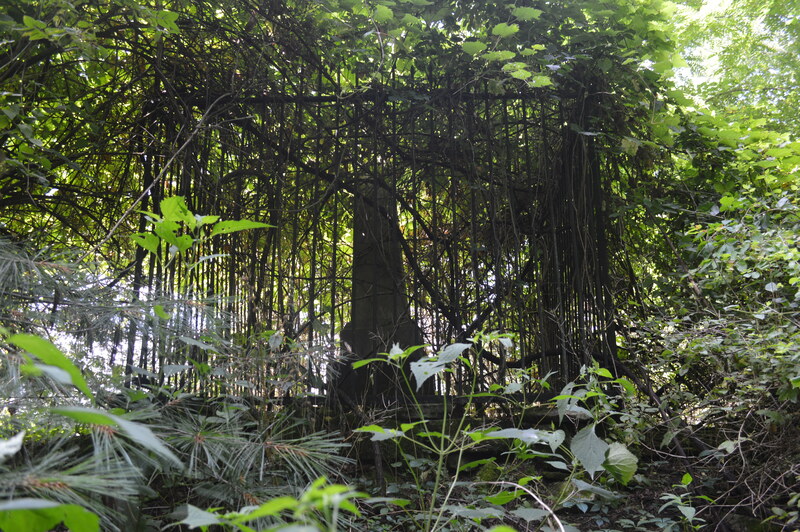 The scene becomes more ominous to those runners who take note of the West Cemetery alongside the course. Here, some of the town’s earliest settlers were buried. Current burials continue in the adjacent Saint Anthony’s Cemetery (an annex is across the street). The historian, however, is drawn to effigy markers, gravestones without accompanying bodies. One of these is a memorial to Joseph Harris, the first original settler of the town to die. In 1723, Harris was killed by a group of Native Americans while tending to his fields. Shot dead and scalped, his body was found by neighbors the next day, sitting on the ground with his head resting against a tree. This was in the area of town where Litchfield Ford now stands. That area became known as Harris Plains. 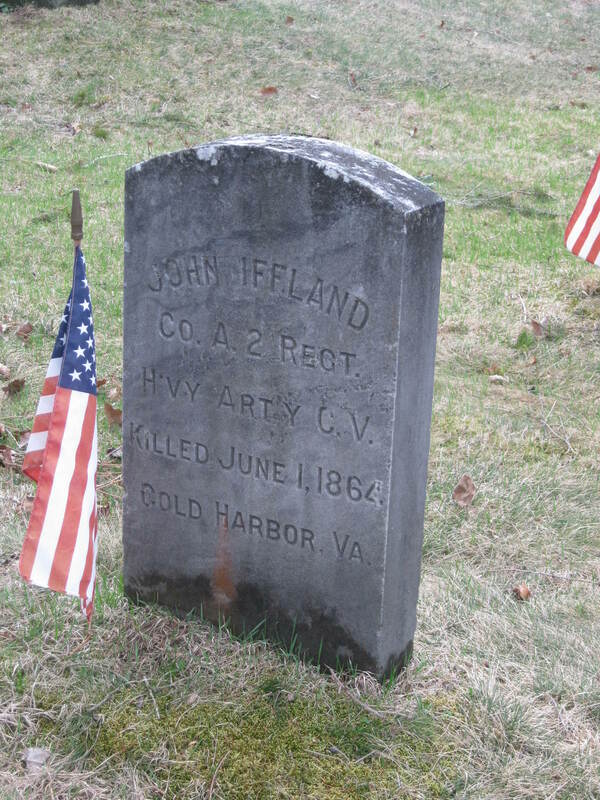 A second example of effigy graves is in the area of the cemetery reserved for Civil War veterans. Initially, this land was donated as a potters field for those soldiers who could not afford a grave plot. Over time, it became a place for families to erect markers to their sons and husbands whose bodies did not return home from the war. 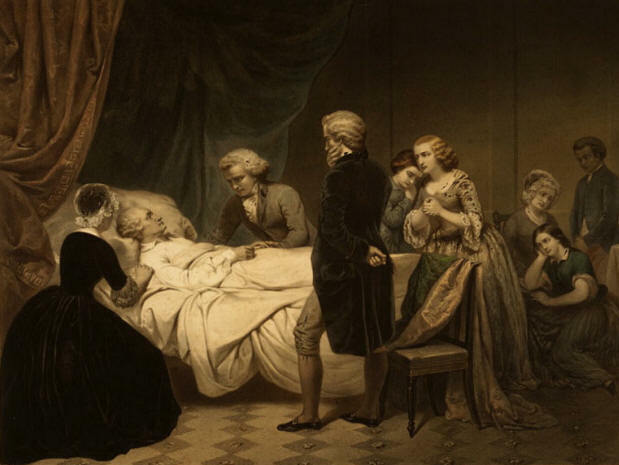 In Victorian America, the idea of a “good death,” in which the stricken died at home, in their bed, surrounded by loved ones, gave comfort in times of grief. The Civil War, with young men dying in brutal fashion in unfamiliar surroundings posed an obvious but serious threat to this notion. A solution was the effigy grave, a place on which where families could focus their grief and prayers. The United States’s first national government, the Articles of Confederation, was approved by the states beginning in 1777. 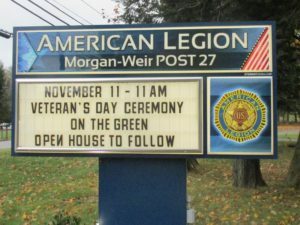 In Connecticut, this was done through town meetings. Despite this support, the Articles did not solve all the young nation’s problems. Many farmers returning from war found themselves in debt and unable to pay their taxes in the gold or silver that Massachusetts required. When, in 1786, courts in that state began seizing the farms of delinquent taxpayers, angry farmers in western Massachusetts took up arms in an attempt to shut down these courthouses. 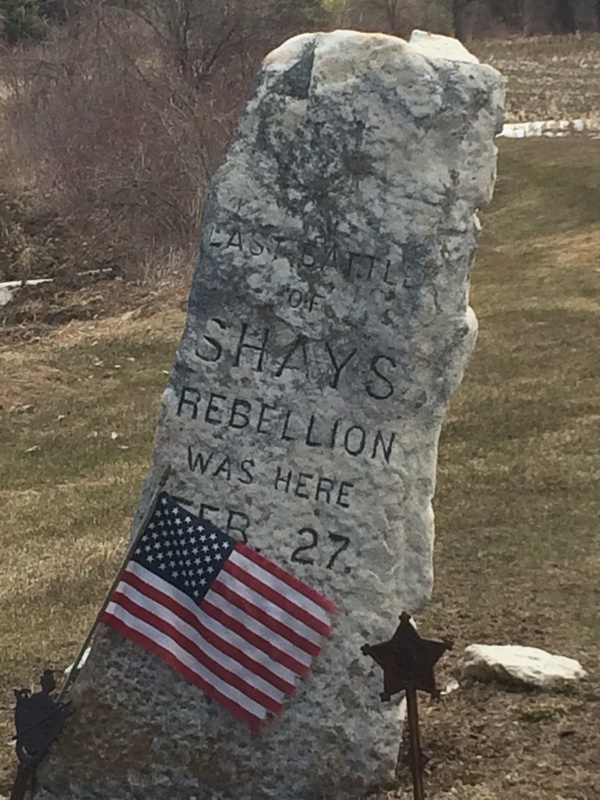 The leader of the this movement, Revolutionary War veteran Daniel Shays, gave his name to the rebellion. Shays and his men marched on courthouses throughout the central part of the state, while other Shaysites closed the court in Great Barrington. In January 1787, Shays led a force in an attempt to seize the federal armory in Springfield. There they were met and routed by Massachusetts militia led by General Benjamin Lincoln. 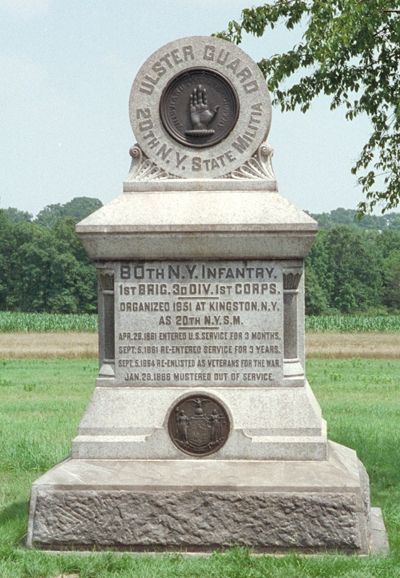 Shays’s force dispersed, with many men making their way to New York and Vermont. Many of those attempting to reach the Empire State were cut off by militia on February 27, 1787, on the road between Sheffield and Egremont. In the ensuing battle, the last organized part of Shays’s forces was defeated. 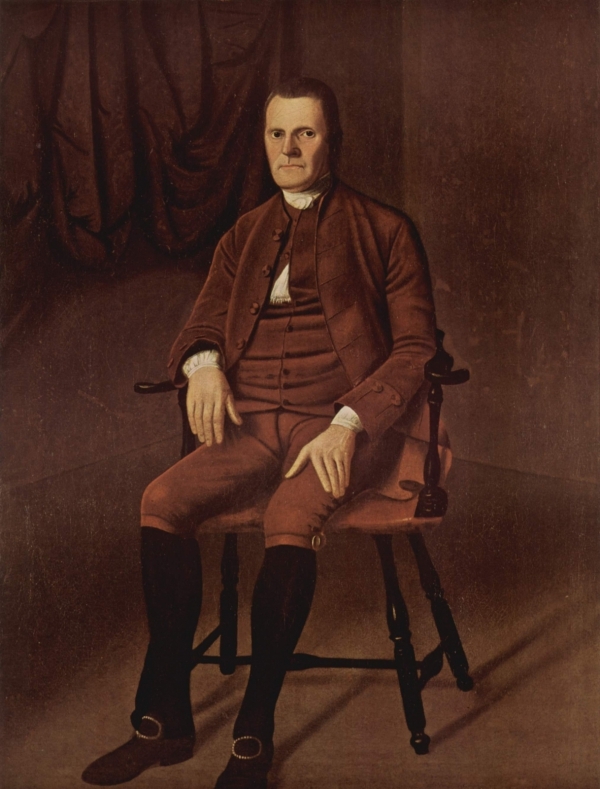 Roger Sherman, a one-time resident of New Milford, played a prominent role at the Constitutional Convention. 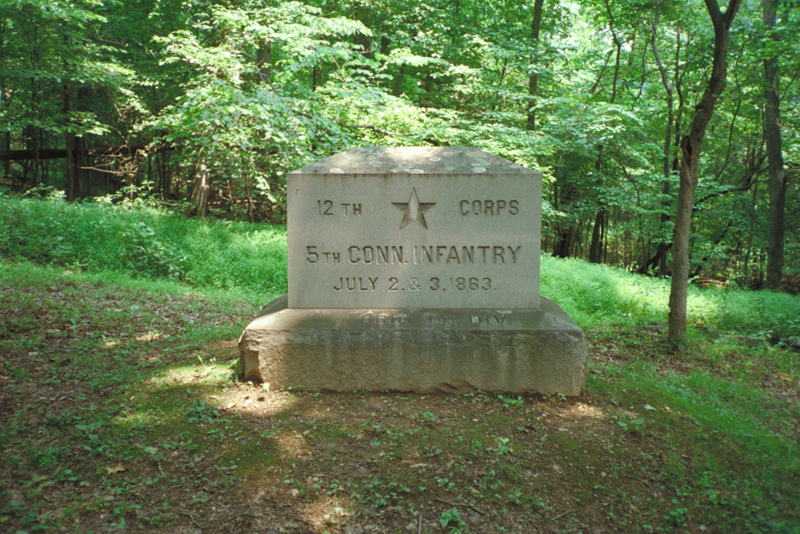 Several of Shays’s men – as well as the spirit of the rebellion – crossed the border into Litchfield County. 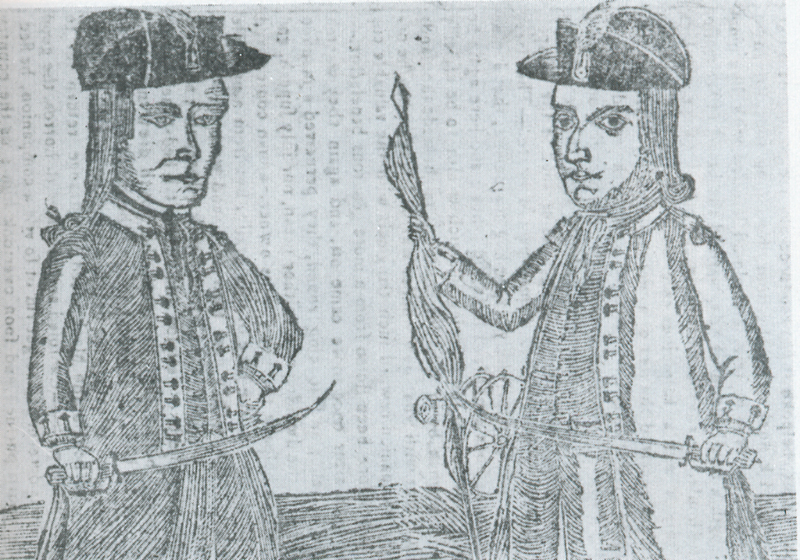 In the spring of 1787, Dr. John Hurlbert of Alford, Massachusetts, a supporter of Shays, arrived in Sharon to awaken “a similar spirit.” Hurlbert organized a number of men under William Mitchell, who as captain trained his company in secret. Hurlbert, Mitchell, and three others were arrested, but when Shays’ Rebellion collapsed, the prosecutions were discontinued. The alarm raised by Shays’ Rebellion – and the inability of the federal government to act to stop it – resulted later that year in the Constitutional Convention that would meet in Philadelphia. The Unity of Brethren, better known as the Moravians, also played an important role in the early religious history of the county. The group’s nickname stems from the refugees from Moravia, an area of the present day Czech Republic. 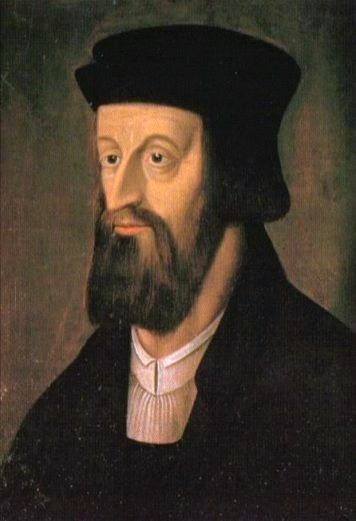 The Moravians were essentially followers of the Catholic revolutionary Jan Hus, who advocated for giving lay people a more prominent role in the church and having masses said in vernacular languages. Hus was burned at the stake in 1415. One of the principal tenets of the Moravian church is the “ideal of service,” which emphasizes the importance of educational and missionary work. 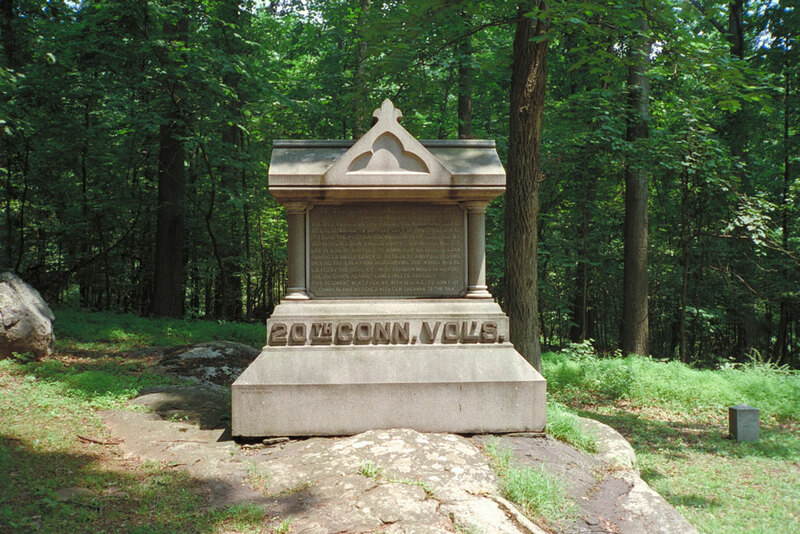 At the forefront of these ideals was Count Nicolaus von Zinzendorf, a German social reformer and Moravian bishop who led efforts to spread Christianity through the Native Americans of the Northeast. Around 1740, von Zinzendorf himself came to America, and preached to Indians in New Milford. 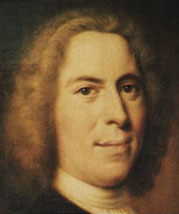 He was so successful in igniting the fire of Moravianism that the natives agreed to move with Zinzendorf to Bethlem (today Bethlehem), Pennsylvania. Harsh conditions and illness, however, soon led the Native Americans to return. Around the same time, a second Moravian mission was established in Sharon to minister to the settlements at Shekomeko (Pine Plains, NY), Wequagnock (near Sharon), and the Schaghticokes in Kent. The mission was founded by the Reverend Christian Henry Rauch, who presided for two years before turning the work over to 26 year-old Reverend Gotlieb Buetner, who died two years later, and was buried at the site of the mission. Bruce … resided chiefly in a house at Wequagnock … but sometimes resided at Schaticook, whence he paid visits to Westenhunk, by invitation of the head chief of the Mohikan nation, soweing the seeds of the gospel wherever he came …. Twenty Indians were added to the church by baptism. Brother Bruce remained in his station till his happy departure out of time …. He was remarkably cheerful during his illness, and his conversation edified all who saw him. Perceiving that his end approached, he called his Indian brethren present to his bedside, and, pressing their hands to his breast, besought them fervently to remain faithful unto the end, and immediately fell asleep in the Lord. Special thanks to my friend and colleague Warren Prindle of Sharon for not only bringing this monument to my attention, but also hacking through the woods with me to find it! 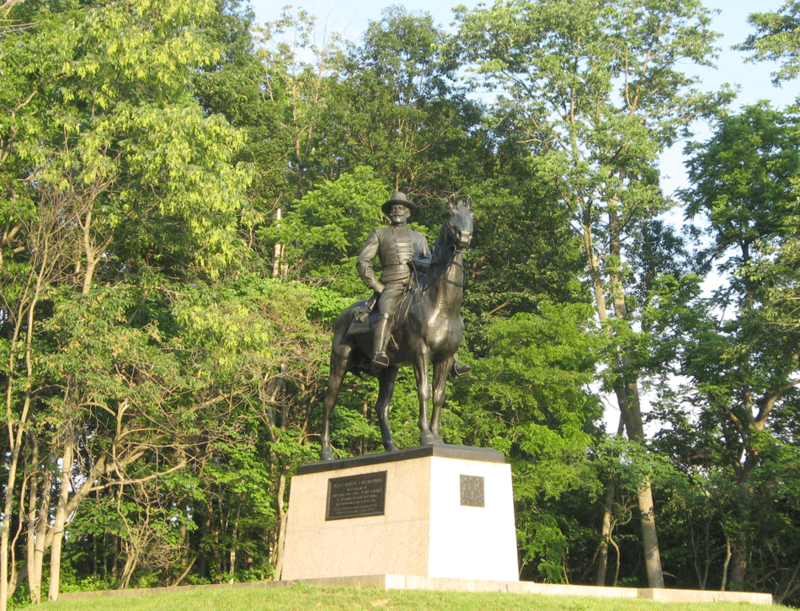 With the 37th annual Litchfield Hill Road Race only days away it seems appropriate to highlight a relatively new monument that shows that commemoration is an ongoing process. 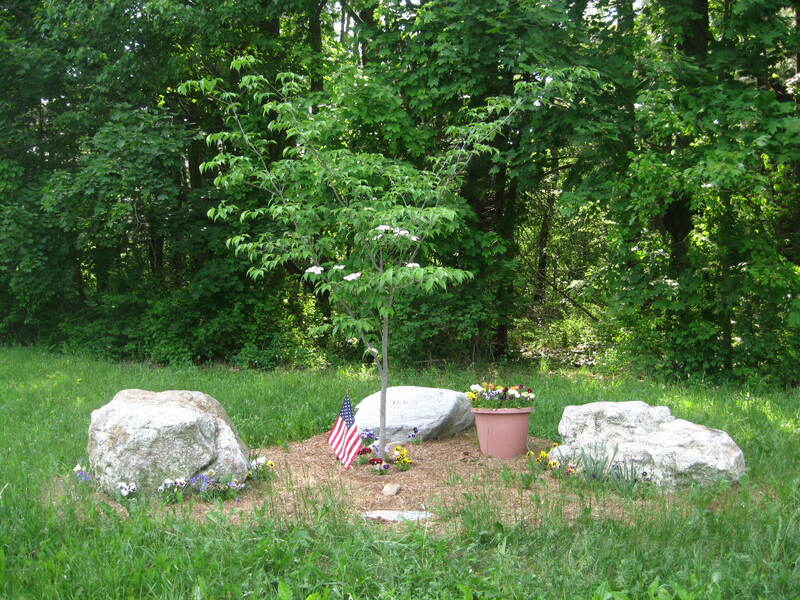 Where the trail over Plumb Hill intersects with Whites’ Woods Road stands Road Race Park, a small plot of land with markers to recognize the contributions of those who have helped make the race possible. What began in 1977 as the brainchild of a few friends to bring to Litchfield a road race modeled after the famed seven-miler in Falmouth, Massachusetts, has grown into a weekend of events that culminates with approximately 1,500 runners making their way through town and White Memorial. Participants have come from all age groups and dozens of countries and have included those who walk the course to marathon champions Bill Rodgers and Joan Benoit Samuelson. 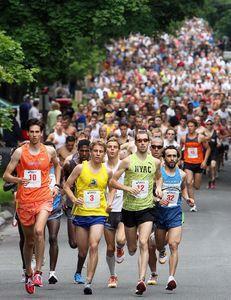 Runner’s World Magazine declared Gallow’s Hill the eighth most difficult hill in racing. Of course, none of it would be possible without the volunteers. One of the race’s notable volunteers was George Dwan, who served as race marshal at the site of Road Race park from the first race until his death in 2008. 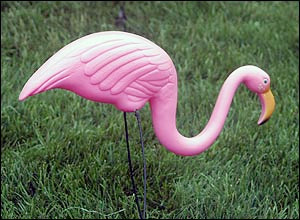 With his friend Roberta Coffill Healy, Dwan would decorate the area with pink flamingos, silver Christmas trees, pinwheels, and other tacky trinkets. When George passed away, Roberta continued the tradition with her husband Jack. 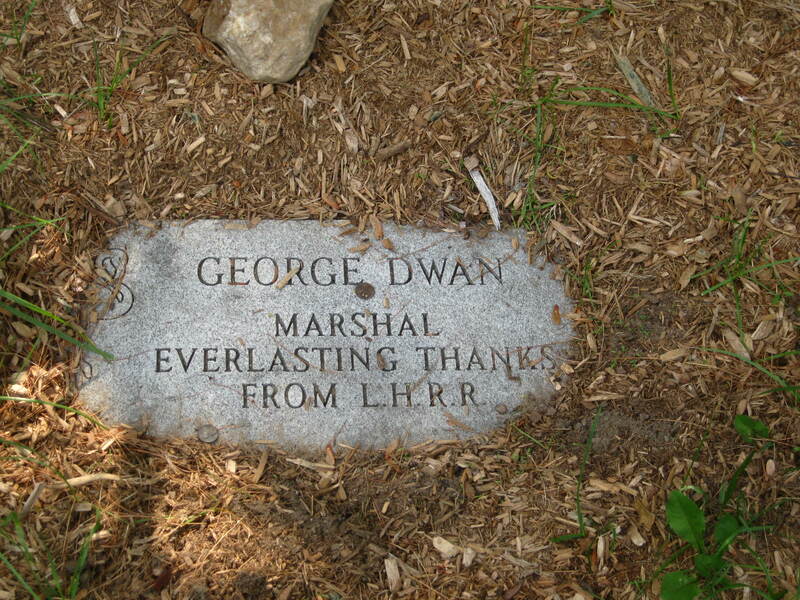 She also was instrumental in commemorating the work that Dwan and others put into the race. On the Saturday before the 2009 race, Road Race Park was dedicated. It consists of three large stones; those on the left and right are sitting stones. 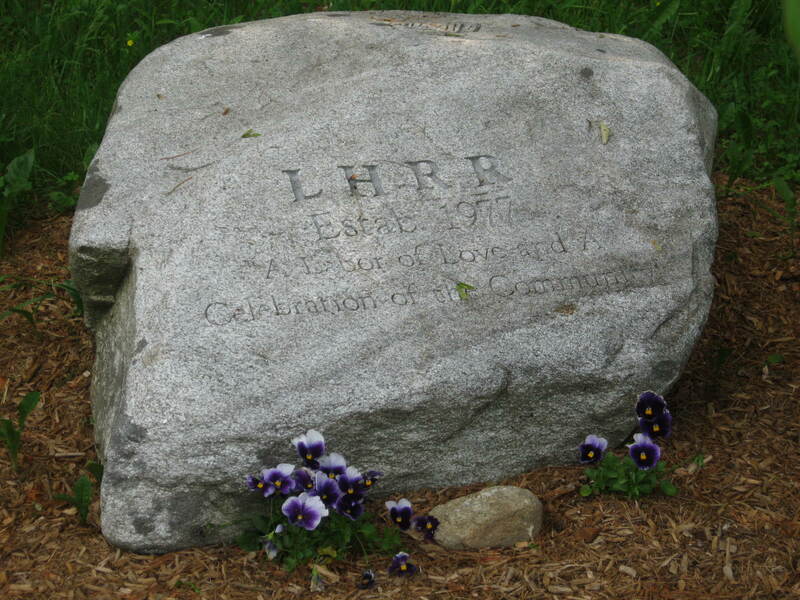 The center stone is inscribed with the words of race co-founder (with Bill Neller) Joe Concannon, “A labor of love and a celebration of the community.” On the back of the stone is a running beer mug, a reminder that a sense of fun has always pervaded the race. In front of the stone is a marker honoring George Dwan’s service to the Litchfield Hill Road Race. It is fitting that a flamingo sits in the marker’s upper left hand corner. Special thanks to Roberta Coffill Healy for sharing her memories of George Dwan and the story of Road Race Park! 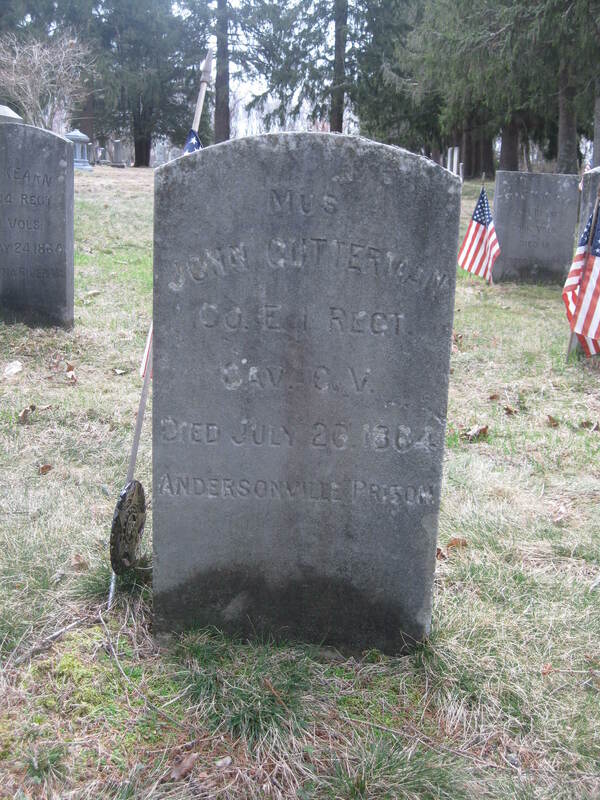 Memorial Day is an appropriate time to reflect on the staggering statistic that forty percent of all Union dead in the Civil War were unidentified. While this was a marked improvement from the Mexican War fifteen years earlier – in which 100% of the American dead were buried in unmarked graves – it nonetheless posed a particular problem for Americans. 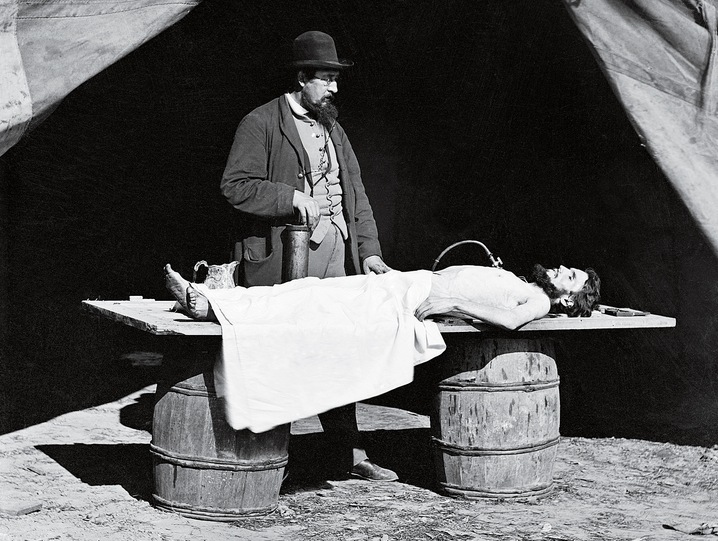 Death held a central place in the culture of Victorian America. Society dictated that there was such a thing as a “good death,” in which the deceased expired in his own home, surrounded by loved ones. To such a religious society, the dying individual was closer to God, and therefore his final words were dutifully recorded as being of great importance. The deaths of hundreds of thousands of Americans in the prime of their lives at great distances from their homes and families was therefore at variance with the notion of the “good death.” While thousands of dollars were spent on embalming bodies to return them home for burial, many families were left without even a place to mourn their fallen soldiers. 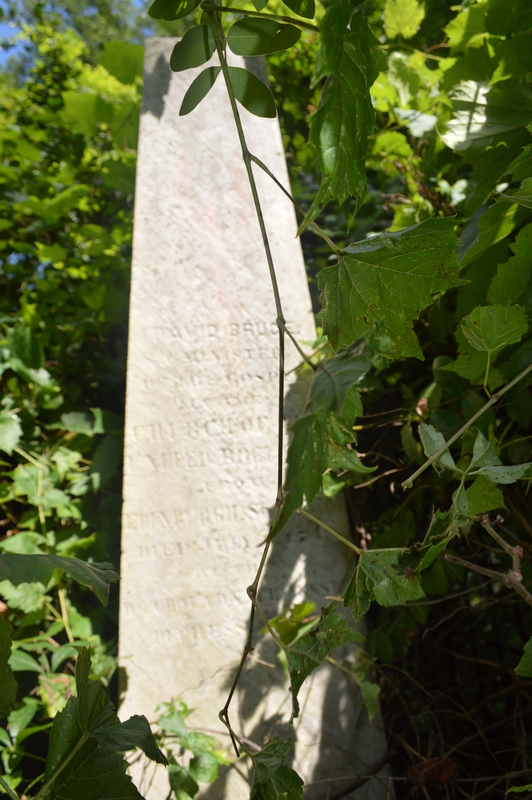 A solution was the effigy grave, a memorial stone for a victim whose body – because it was unidentifiable or for financial reasons – was unable to be returned home. 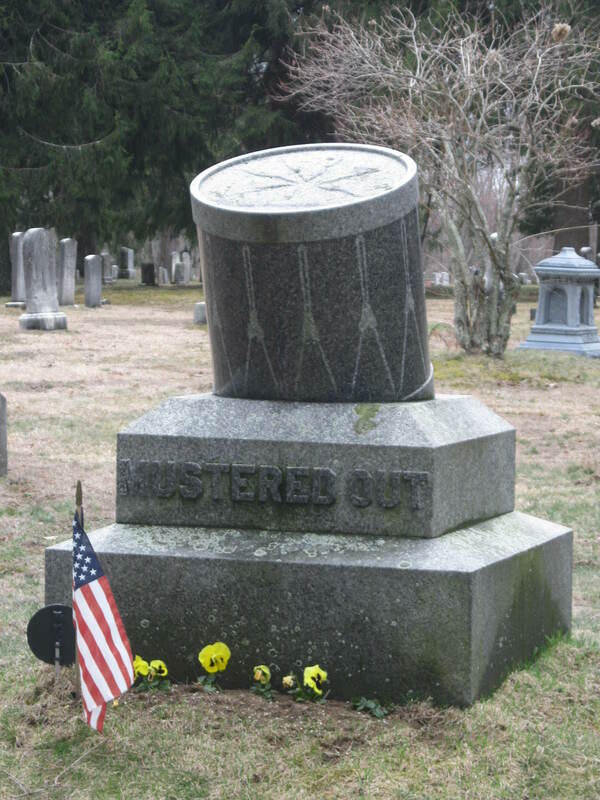 The Civil War graves grouped together in Litchfield’s West Cemetery (with a monument of a drum labeled “Mustered Out) are a good representation of these graves. These men fought on some of the most famous battlefields of the Civil War. Others suffered through unimaginable horrors in prisoner of war camps. Perhaps these memorials gave some comfort to the families of these soldiers in the aftermath of the war. 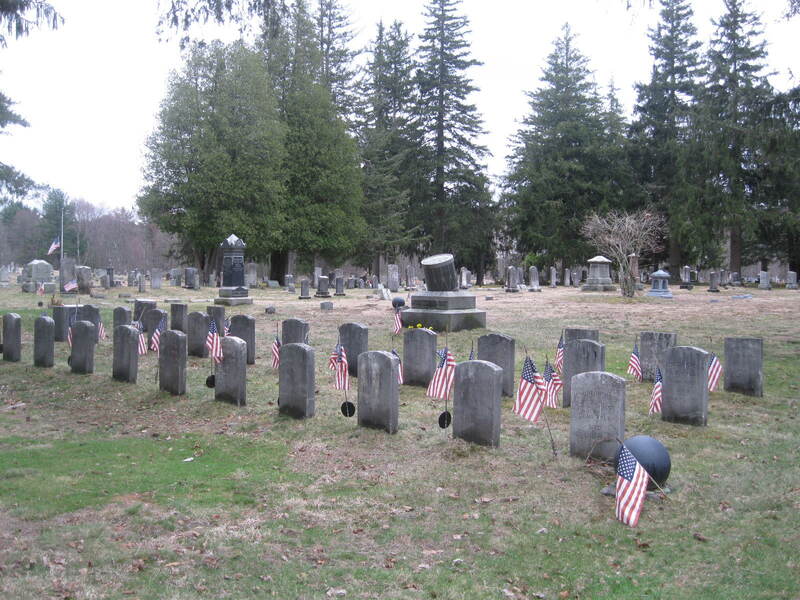 One hundred and fifty years later, the stones continue to remind passersby of these soldiers’ service to our nation.